Yes, that’s me. 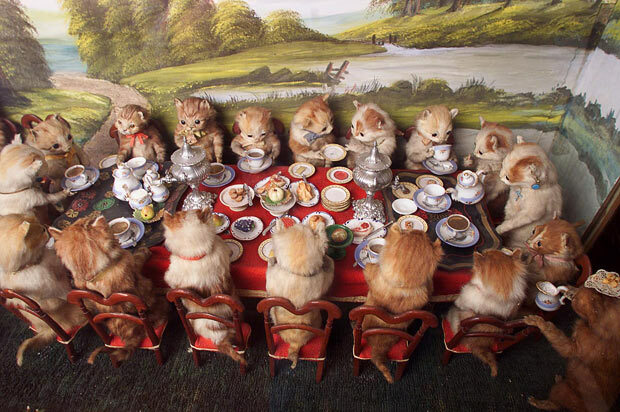 Since I graduated from taxidermy school in June, it has become abundantly clear to me that all of my friends and relations have been concealing a burning passion for all things taxidermied. 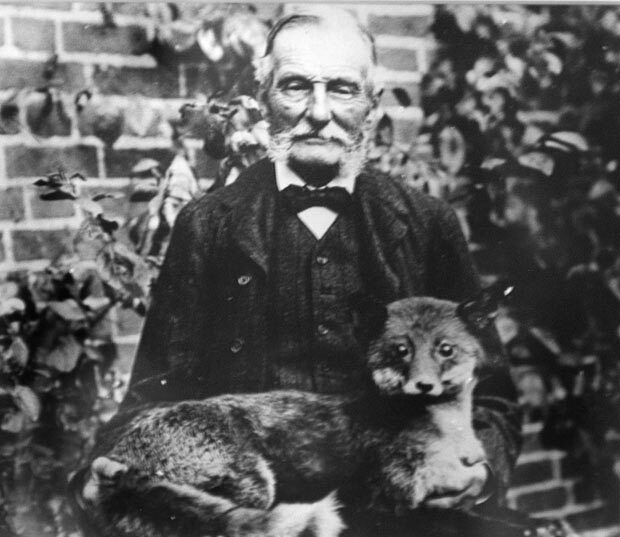 There is no other explanation for the sheer number of emails, facebook links and text messages I receive letting me know about great ideas for new taxidermy pieces, taxidermy gone horribly awry, taxidermy gifts I might like. . . 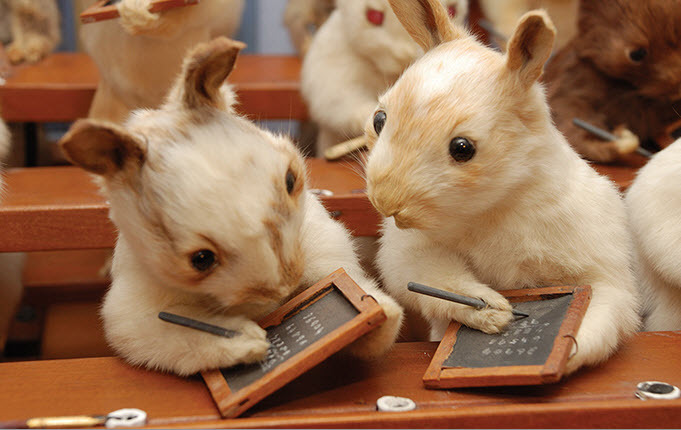 I am thrilled to act as an outlet for your taxidermy passions. By all means, continue to send your discoveries my way. 1. 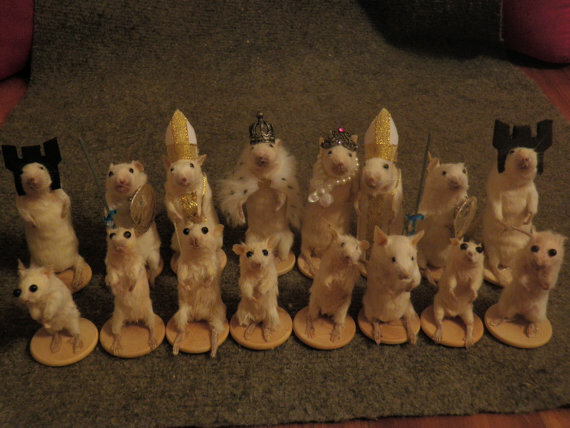 That taxidermy chess set. Yeah, you know the one. 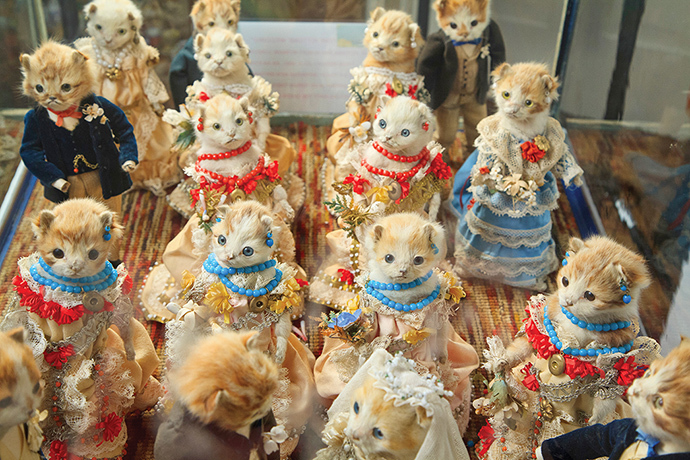 It is made up of white mice and black mice and it can be custom made for just for you. They are hand made in Pensacola Florida using mice purchased from a snake feed supplier. Speaking of snakes. 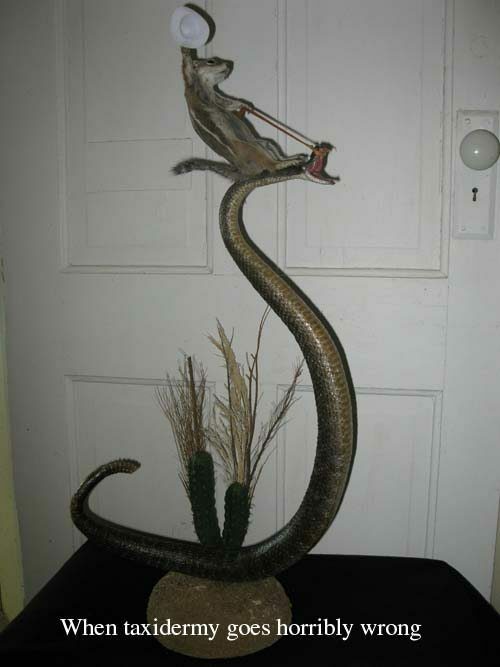 . .
chipmunk riding a snake. What can you really say? This is frequently suggested as something I might either enjoy as a gift or perhaps reproduce in my studio. I really have no words to describe this, which is saying something. 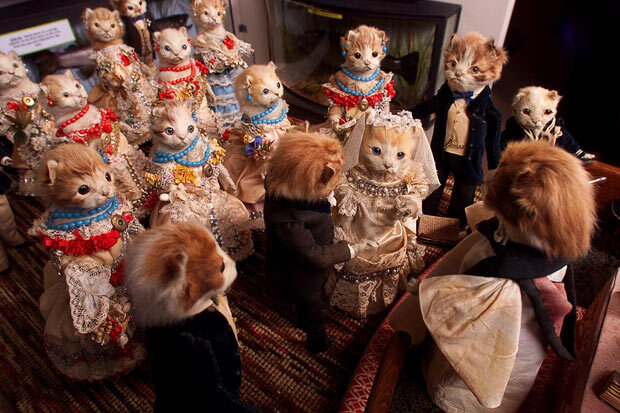 Guests at the Kitten’s wedding. Sadly, Potter’s collection which had been housed in one museum was recently sold at auction. Damien Hirst reportedly offered over 1 million pounds for the entire collection, his bid was turned down by the auction house resulting in a law suit.